A couple of hours later I was down at the lake fishing and photographing the landscape when I saw the same small jet flying south. This time I was close enough to grab my camera and get one quick shot. I'm guessing it's military, possibly a training jet flying out of Edwards AFB. There's always fighter jets flying through the area. It was very quiet with a V tail wing. Notice how small the engines are. 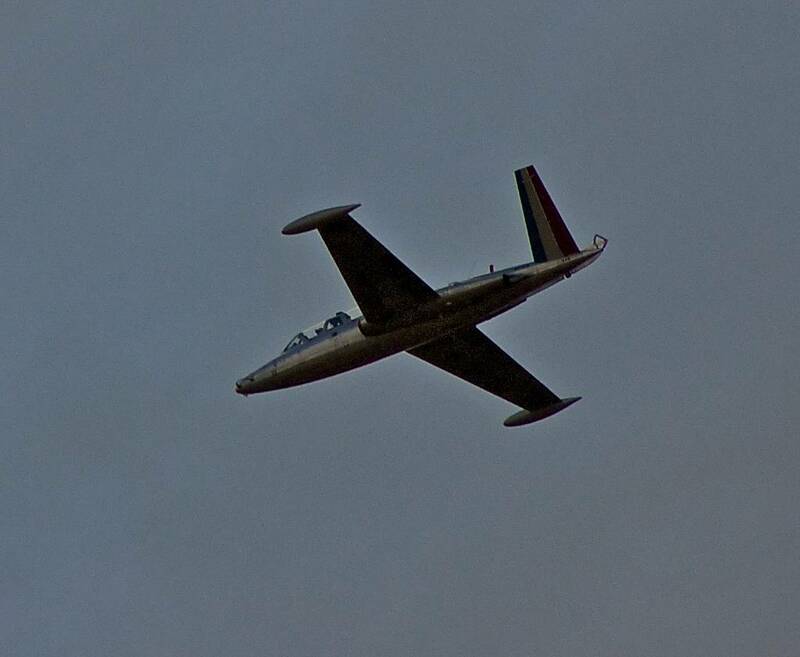 It looks like a Belgium Fouga Magister which is a jet trainer. You can see the double canopy. It never ceases to amaze me how smart this group of photogs can be. Well Mike there arent many jets with a V tail.